Apart from the usual food storage, users can control and monitor their other connected appliances like washing machines and smartphones from the Family Hub screen. 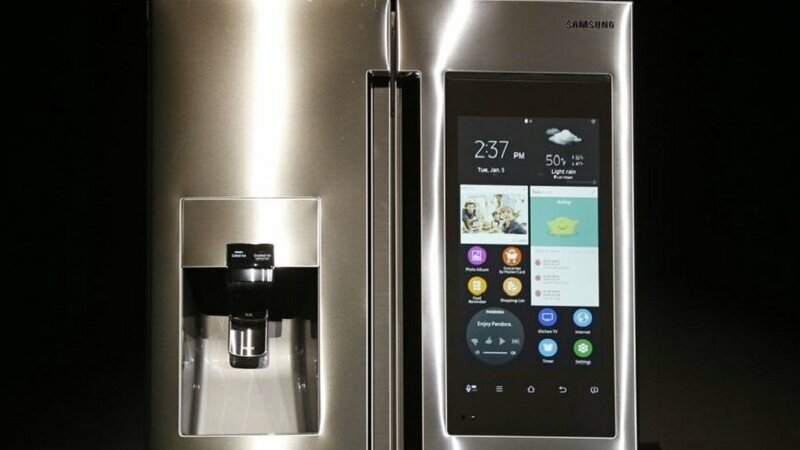 Electronics major Samsung has unveiled a new refrigerator that features cameras, speakers, and a 21-inch touch display to provide a "smart" experience to users, albeit at a price tag of Rs 2.8 lakh. The smart refrigerator allows users to compile shopping lists, reading out schedules, and even watch video clips. According to Samsung India Director (Consumer Electronics Business) Saurav Katyal, Indian consumers are looking beyond cooling and capacity features when it comes to buying refrigerators. An interesting feature is the built-in view inside camera that allows users to digitally label their food with expiration dates, or use a mobile device to peek inside their fridge from a remote location. Katyal said with Bixby (digital assistant), Family Hub can also recognise individual voices and provide personalised information based on preferences. "Users can ask "Hi Bixby, what's new today?" and it will provide a read out of the news, weather and calendar updates," he added. Asked about the sales expectations, Katyal said it is difficult to predict numbers as the segment is still nascent and evolving. "Over a period of time, consumers are looking for smarter features in their devices. Connected homes is growing as a category and we expect the demand to grow in the coming time. We are bringing in global innovation to the Indian market," he said. Globally, Family Hub is available in markets like the US, Korea, Australia and some South East Asian markets.